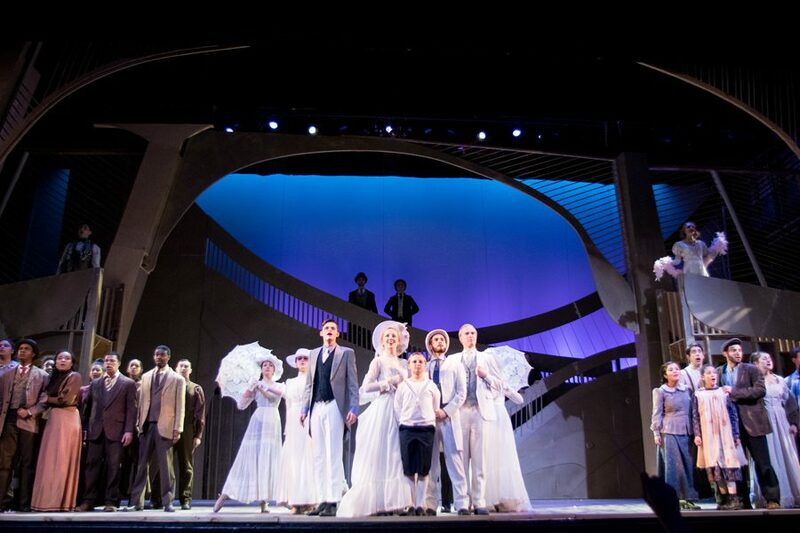 The largest student-produced musical in the nation will return this week, as the 76th Annual Dolphin Show meets the massive scale of New York in “Ragtime,” a classic turn-of-the-century musical. The Dolphin Show involves more than 150 students and a budget of nearly $90,000, said executive producer Michael Kelleher. The production will run in Cahn Auditorium from Jan. 26 to 28 and Feb. 2 to 3. 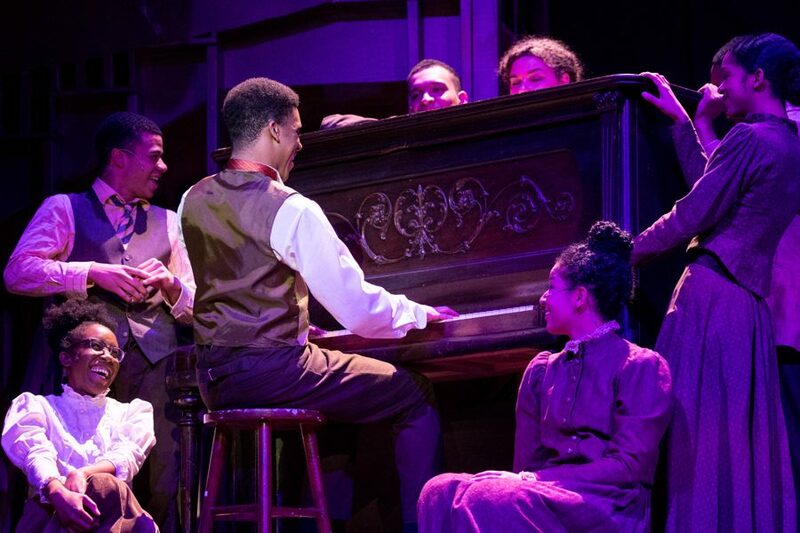 “Ragtime” follows the stories of three characters: Mother, an upper-class white woman in New Rochelle, New York; Coalhouse, an African-American pianist from Harlem; and Tateh, a Jewish immigrant from Latvia. Throughout the course of the show, their lives cross paths, converging until the three stories meld into one. The cast of the the 76th Dolphin Show, “Ragtime.” The show will run in Cahn Auditorium from Jan. 26 to 28 and Feb. 2 to 3. Doermann said the show’s inclusion of three, starkly different storylines will allow audiences to relate to the characters. Its portrayal of battles against racism and prejudice is a particularly relevant theme given the current political climate, she added. “Despite this being a story that takes place in the early 1900s, so many of those things are still happening in America over a hundred years later,” Doermann said. True to its name, the show’s score features a significant amount of ragtime music. Since ragtime music originated in African-American tradition, its acceptance by the general public in the 1900s represented a major dynamic shift in the previously white-dominated popular culture, said choreographer Tucker DeGregory. DeGregory said he attempted to represent this cultural change in his choreography by allowing each character’s background to show through the movements. A major theme in the show is the “duality of staying true to your roots while also acknowledging and accepting the newness,” he said. One challenge for DeGregory was capturing the dance culture of the “Ragtime” era, which embraced dance as a more commonplace form of entertainment. He said he attempted to combine formalist movement, which is more set and stylized, with the pedestrian gestures of expressionist movement. Students not only choreographed the show, but also designed and built the set. Students returned to campus before the end of winter break and worked for eight seven-hour days to build the set, said Doermann. Kelleher also echoed the educational value of an entirely student-produced musical.